Long before Tegan Curry became a metalsmith and jewelry-maker, turning lobster bands into fashion accessories, she was a little girl who spent whole days exploring the coastline of her hometown of Bar Harbor. 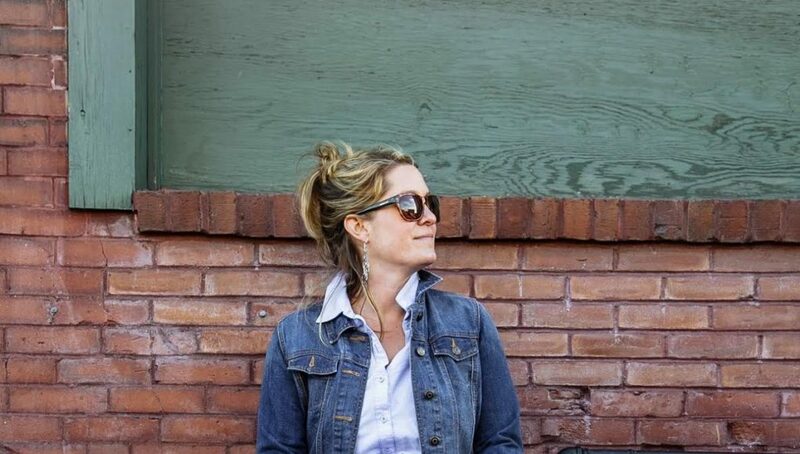 Years later, Tegan studied metalsmithing and jewelry-making at Maine College of Art and forged a career as a jewelry-maker, inspired by elements in nature and current fashion. One day she thought it would be fun to create a ring that would perfectly cradle a lobster band—the ultimate Maine jewelry. Thus, LobsterBand Rings was born. 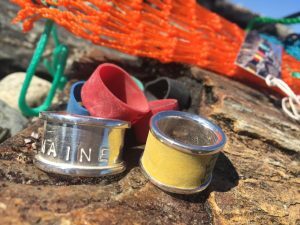 A silver ring stamped with the word “Maine” comes with a bait bag with at least four different colors of lobster bands—perhaps red, green, blue, yellow, black, white or salmon, whatever is available from the lobster co-ops. The bands might be printed with the name of a specific co-op or with “Product of Maine.” But they can also be turned inward so the printing doesn’t show. It all depends on the preference and mood of the wearer. “That’s part of the allure,” says Tegan. Tegan’s ties to Bar Harbor and to lobster continue far beyond her jewelry business. 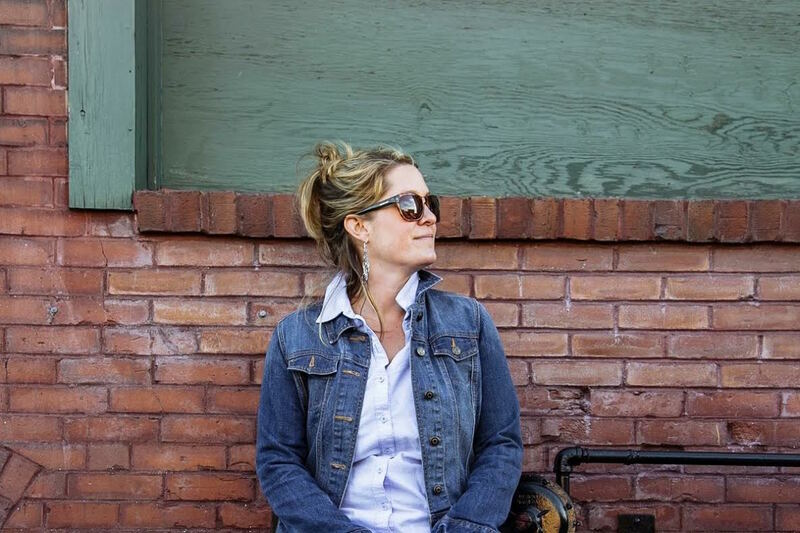 Her fiancé, Garrett Fitzgerald, owns a seasonal lobster restaurant on Bar Harbor, and they divide their time between the island and a home in Portland. Both are hard work. After more than a decade of bending, soldering, sanding and grinding metals, Tegan had the LobsterBand Rings cast to keep the process sustainable for her hands. “Hands are the best machines you have, so they take a beating,” she says. Perhaps that’s why she designs rings that can take a beating, too. “They’re pretty rugged rings,” Tegan says. “They weigh almost an ounce per ring.” The chunky jewelry look is popular with women but also appropriate for men—lobstermen have ordered sizes as large as 13. 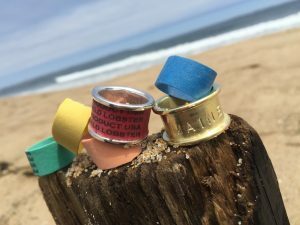 Most LobsterBand Rings are ordered through the website—LobsterBandRings.com—and arrive in the mail within a week. Tegan is easy-going about exchanges for fit. If you’re in the Portland area, drop by Fore River Gallery at 87 Market St. to try the rings on for size—or pick one out for $125.